Welcome to the cast announcement party to season 3 of Party Down South. Looks like she’s getting some yeast for her pizza dough. I don’t think Nemesis is interested because judging by her looks, if she is pregnant, the baby will come out the same hue as those boxes by that body area that passes for a face, and we all know Nemmy don’t play dat. I audibly gasped when I saw this photo. Don’t people have any pride any more? This is gross. She digging for buried treasure. Looks like the pants party got shortened. I really enjoy your site. Many many laughs! For the first time I have sympathy for Walmart person. This lady looks to me, like a Down syndrome person. 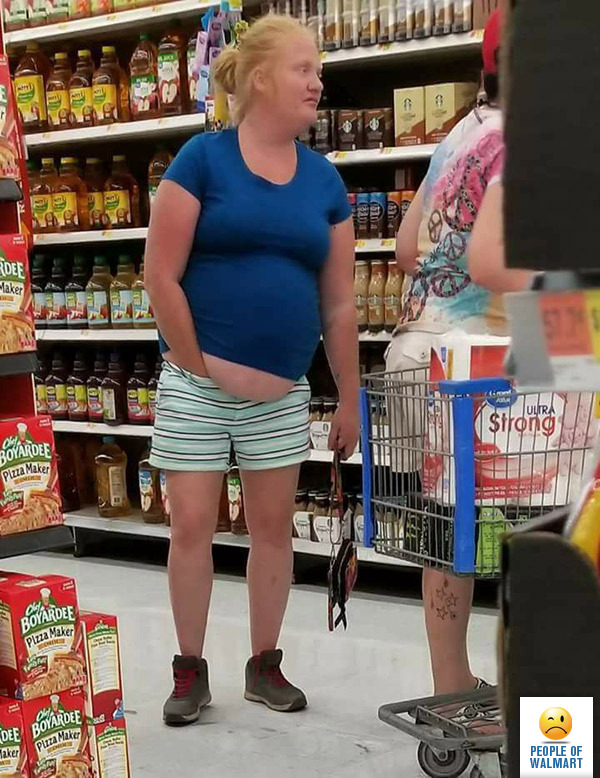 know not to do this in public. Thanks again for do much entertainment over the years.